Shares of Symantec jumped as much as 10% to $US20.50 Thursday after Starboard reported a stake in the cybersecurity giant. Starboard, which manages roughly $US6 billion, has taken a 5.8% stake in Symantec and nominated five directors to the board. The stock surge recovers some of the price loss after Symantec fell sharply after bad earnings earlier this month. 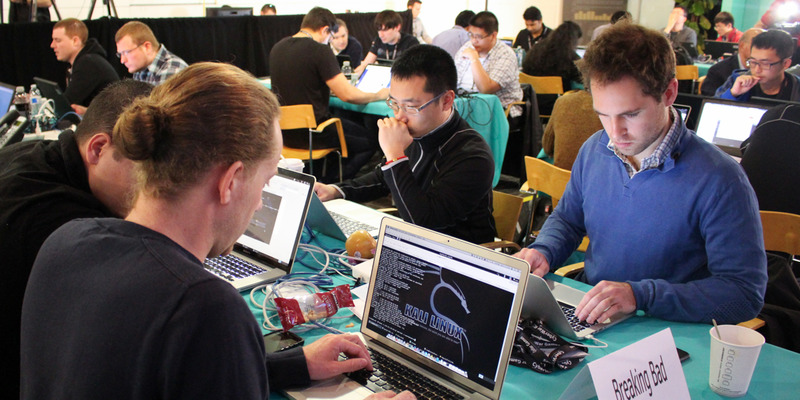 Follow Symantec’s stock price in real-time here. 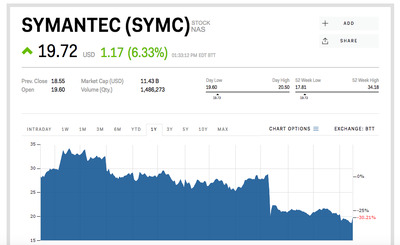 Shares of Symantec surged as much as 10% to $US20.50 Thursday on trading after Starboard, a $US6 billion New York-based investment adviser, reported a beneficial ownership in the cybersecurity giant in a 13D filing. Starboard has taken a 5.8% stake in Symantec and is seeking five board seats at the cyber-security company, the Wall Street Journal reported on Thursday. The slate of five directors includes Dale Fuller, a former chairman of antivirus company AVG Technologies, and former Intuit executive Nora Denzel. It also includes three people Symantec previously put on the board of Marvell Technology – a semiconductor company it’s trying to restructure. The nominees could help improve operations and amend issues with financial reporting, according to the WSJ report. The stock increase recovers some of the loss incurred when Symantec fell as much as 15% in a single day after bad earnings earlier this month. The drop came after the cybersecurity software maker announced an 8% labour cut and gave a disappointing forecast for quarterly profit and revenue. Shares of Symantec are down 30% since the beginning of the year.